Richard Lindley of Nottingham UK is requesting information about his branch of the Lindley family in Darien and Bainbridge New York. 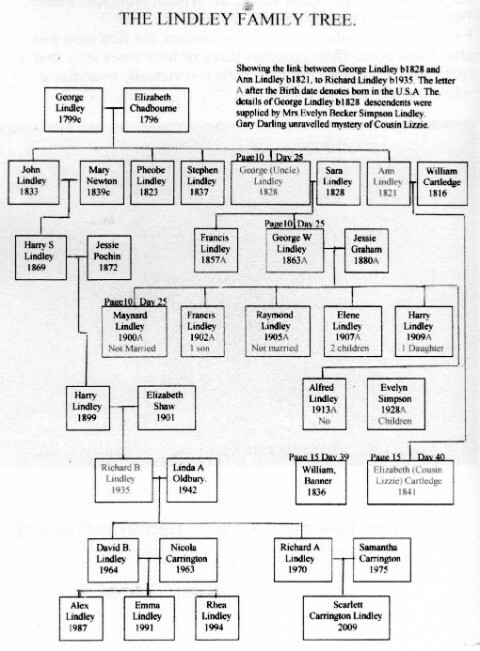 Below is a Family Tree, so if you recognize anyone’s name please contact him at richard.lindley7@ntlworld.com. He would be very grateful for any information you may have. Thank you.